Last year I did a post of my Mother’s Carne Guisada on the old blog…you know, the one that disappeared. This post meant a lot to me because I had recently lost my Mami. I am a member of the Hispanic Kitchen and the founder, Jorge Bravo, has been very supportive of my blog and my dilemma. Jorge posted the picture of my carne guisada on Facebook and received 186 hits in a matter of a day. I was so surprised and happy. When you get a chance, go visit this wonderful site and the people that contribute to it. We start with the basic “sofrito”. Sofrito is the base for most of Puerto Rican cooking. Everything that you see in the picture you blend with the exception of the laurel leaves. You can store in fridge, or as I do by filling a ice tray and after freezing put the cubes in a baggie. *In some stores you can find a product by Goya called Alcaparrado which has the olives and caper mix. Cut onions in small dice and crush the 3 cloves of garlic. In a casserole heat the olive oil and add onions, garlic then the meat. Brown the meat, add the sofirto, laurel leaves, vinegar, tomato sauce and water. Cover and at medium flame cook for about 1-1/2 hours. During this time you can check and stir meat a few times. Add carrots, olives, capers and simmer for another hour. Check the meat. By this time it should be fork tender. At this time add the potatoes . Once potatoes have cooked you can add the peas and let rest. This actually took about 3 hours. Now I know why Mami used her pressure cooker. I am deadly afraid of pressure cookers as I had a pretty bad accident years ago and my whole kitchen was splattered with black beans…not a pretty site. My mom, Violeta with Linda and Brandy. This time it’s not Buen Provecho! It’s “Come, come que la comida se enfria” (eat, eat, the food is getting cold) her favorite saying. Mami and me eons ago. This entry was posted in Latin Traditional, Meats, Puerto Rican - Tipico, Sofrito. Bookmark the permalink. I remember this post. The recipe looks delicious, flavorful and comforting — and it was nice to see your mom again. What a very beautiful woman! I love your bright green sofrito! Carne guisada is textbook comfort food. It’s one of those dishes that I won’t eat outside Mama’s house because I know it just won’t be up to par. Thanks for sharing those wonderful pictures! The plating of the rice with the amarillos is brilliant too. You have the best blog name ever 😀 it’s been a long time since I’ve heard the term “recao”. “Recaito” here is cilantro, which is also called “verdura” and “hojita”. That flat leaf is called “cilantro macho”… LOL so many funny names! Thanks so much…and yes many names for that little leaf. so wonderful! that is what i call comfort food!!!!! fantastic!!!!! once I recover, I will come over for some!!!!!!! don’t think any leftovers ???? ahhhhh such comfort food!!!!! wait till i recover and i will be ringing your doorbell!!!!! I’m sure this tasted delicious! Loved your picture with mami! This looks for sure mouthwatering! “eat, eat, the food is getting cold”.. ;-))My mom loves to say that too. this sounds just delicious!! oh my:) i am so craving for this right now. Thanks for recipe and memory! Thanks for your comment darling! How wonderful were those old pictures. Moms are… Moms!!! I love carne guisada and your Puerto Rican version is amazing, Norma! 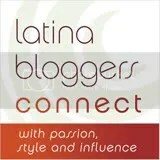 I love Jorge’s site and I have in my blogroll. Found your blog through Joan. So happy you are back! You mother is beautiful and what a delicious looking recipe. I will be back for more good food! Hi Norma, I dropped by from Joan’s blog to say hello. I agree with the other comments. There’s nothing like mom’s cooking. Lovely tribute to your mother. Welcome back – how awful for you to lose your blog that way. I really enjoyed visiting the countries of the world with you with Joan at Foodalogue. The new blog looks brilliant. Fingers crossed I’ve had no problems with WordPress at all. I’m glad you were able to re post this, it’s a shame it was lost! This is true comfort food and a wonderful tribute to your mother. I also love the older photos, such nice memories for you. I can’t believe your blog disappeared, but you are back strong. I subscribed so I’m not missing a thing. Lovely post, Norma, and how nice to see photos of your beautiful mother. Its wonderful to meet you mom who was obviously a big influence on who you are today! Delicious!!! I made this and feel in love with it. My apartment was filled with the beat kind of aroma. My neighbor even asked me what I made! Hehe thanks for filling my family and myself with such a great meal! Thanks for sharing. Beautiful pics. God Bless. My husband is half PR and has no recipes, yet we all love the food. This will be nice to pass to my children. Thanks again. The pictures of your mother are beautiful. The presentation of the carne guisada makes me wish I can have a plate right now. Thank you for sharing a meal which is entwined with memories of good flavor and love. I am making some today. I hope it turns out as tantalizing as your picture. Thanks for sharing! The carne guisada looks delicious! I am going to make this today. Also the pictures are great! I’d like to give this one a shot! Looks beautiful! I’m Puerto Rican and have lived in the South for the majority of my life. My husband — who isn’t Puerto Rican — LOVES the food! I would like to make this today. How does one use the pressure cooker variation? Do you just put everything in at once? First thanks for the comment. I would put everything but carrots and potatoes. Would add them half an hour before serving so the carrots and potatoes cook. I am not a pressure cooker person….I hope it work and go look at my flan – I think you would enjoy that post also. I remember your pic on carne guisada. I’m sorry you lost your mom. Que Rico!!! Thank you…some of us did not have to fortune of having Mami…Thank you for sharing! Omg, me acorde de mi mami. La receta esta rrrica!!! Thanks for visit and it is true of continuing with our traditions so they are not lost….. Thank you Norma from a fellow Puertoriqueño who hails from Manhattan, Brooklyn and now residing in Ozone Park Queens, some tour huh? I remember this dish especially around 1PM most Sundays when dinner was always made and ready at that early hour. I sort of kicked it up a bit with adding Sazon con Achiote (2 packets). In lieu of the frozen peas which I had none on hand I substituted a whole ear of corn, quartered, and added it to the stew within the last 40 minutes of total cooking time. Great outcome and I was still sucking the juices that were imbedded into the cob afterwards. Talk about finger licking good this one brought back sweet memories of my little old lady, Doña Fela Rosado (QDEP), of the times she prepared this always family favorite dish. I kick my individual serving up a bit further with a small bed of white rice and 2 generous slices of aguacate and sprinkle some hot sauce (Siracha-garlicky Asian hot sauce) and my oh my I’m in Comfort food heaven. Thanks once again this is surely a keeper. PS (For those who didn’t understand my acronymn it means Rest in Peace in Spanish aka Que Descanse En Paz. Peace Norma. Jorge thanks for stopping by…. I will be in the future posting good old PR recipes como Sopa de Platano, Gandules guisados con bolitas de platanos, etc. If you have a favorite, let me know and I will cook it and pot it for you…. Indeed I always loved a well made Sancocho. Haven’t had any for some years now. I have an idea of the list of ingredients but don’t remember them all and the procedure to cook it. I would also like to know if you’ve ever posted a Pastele recipe in the past which is always a home run in my home anytime of year when made “Old school style” hand grating all the root vegetables and the ingredients that make a great tasting pastele that wouldn’t turn hard even if it cooled off. I guess the trick to accomplishing that is to add more callabaza (pumpkin or squash) to the masa. Your thoughts? Thank you once again. I have been meaning to make pasteles for a while now, but it’s a job and if you are going to make them you must make at least 50-100 and freeze for the holidays. I am trying to get a few of my friends to help out as when my mom and her sisters would sit aroud “bochinchando” and all had a job to do making the pasteles. Who would grate, cut the meat, cook the meat, make the masa, etc. I hope that by the end of October pasteles will be on my blog. Hey we might recruit you also…LOL. I would be most happy if you would need my assistance. Remember the saying “There’s too many cooks in that kitchen” not in the case of making batches of pasteles. The more the merrier. I have a great recipe for Sofrito as well from a family member that would last a normal household anywhere from 4 to 6 months when properly stored and with normal usage (Sauces, beans, rice & meat dishes, etc.). Let me know if you would like this and send me a private email, I’ll return your response with the recipe and some storing tips to pass on to friends and followers alike. By the way Bochinche is always a topic of conversation when good friends and or family gather for such occasions. In a weird way it mentally healthy. LOL! Im a chicago firefighter and I cant wait to cook this great puerto rican meal the guys will go nuts! The presentation and pictures very well done, great stuff. Thanks Chichi a great compliment. Please follow the blog as you will have plenty of dinners to make for your Guys. I used to cook after 9/11 for the company in my neighborhood. I salute you and que Dios los Bendiga! Thank you for your post, i have not made Carne Guisada in ten years, thats how long its been since my mami died, this was my most favorite dish that she made for me. Her pics reminded me of her but when you wrote” come que se te enfria la comida I heard her voice and smelled the stew… it brought tears to my eyes. Thank you for that memory seems like purerto rican moms all went to the same school. I made the stew last night feeling very melancholic and i feel mami made it!!! thank you so much for sharing and so sorry to hear of your moms passing. Thank you for this recipe!!! Delicious and on point…. With Love, A puertorican from NJ. Thank you! I used your mom’s recipe and it was perfect and delicious. I am so happy. Thanks for stopping by. Hi Miriam do you have a delicious recipe for escabeche de mollejitas? I was craving BEEF STEW and i wanted to make it for the whole family. I have ordered it for spanish resturants a small portion for about $9.50 . So i looked up a recipe and behold im glad i found yours. While making it i was concerned that it wasnt seasoned enough. I cooked it and drove the house crazy with the smell. Then bam it was done. The most tender, moist, well seasoned beef stew ive ever had. I have been left disapoined at the dry ones at resturants. This recipe made enough for 3men and 3ladies. With a bit to spare. I didnt see the serving size before hand or maybe i missed it. Cudos ! You made my day. I always make extra and at home it was cooked this way. One never knew if we were getting a surprise visit. Remember that it freezes well. Mi mami told me the very same, ” Come, come…. !” Thank you for this loving post. Please tell me how it comes out. Thanks for the idea. Oh my what a great comment and you made me quite happy. Goya makes frozen sofrito if you can get that. If there are any recipes you want just let me know and I will post them. I am from New York City and if you need some ingredients just let me know. You can subscribe to my blog but signing in and every time I post you woo get an email. Again, thanks. How would you make this in a slow cooker? Please advise. Thanks!!! I never use a slow cooker, sorry…I would think you would put everything in the pot and cook as you would normally cook beef. Ask your miami for the recipe of corn meal and I think fat back that mom used to make but I can’t recall it. Send to platanosmangoes@gmail.com but make sure you put on subject. I get lots of junk mail. Thanks for the kind words and if you want me to make something special let me know and if your Miami wants to share recipes I will love them as mine is gone and I miss her dearly. This recipe sounds amazing!!! How would you make it in a slow cooker?